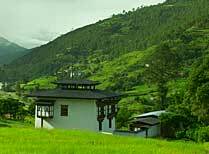 Punakha is only about a three hour drive from Thimphu over the Dochu La pass at 3140 metres. 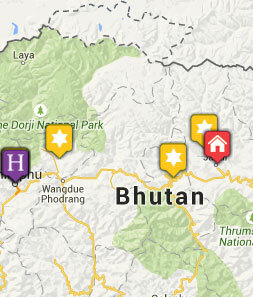 This makes it very accessible and possible o visit on even a relatively short trip to Bhutan. And it is certainly worth the visit. Punakha was the capital of Bhutan for about three hundred years an so the fortress here is pretty special. In fact it is one of the best in the country and I would say that if you are only going to visit one dzong (fortress) in your stay in Bhutan then Punakha Dzong is the one to go for. It is set at the confluence of two rivers and is a really wonderful building. 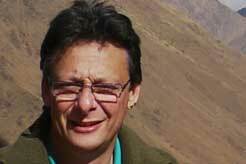 It completely epitomises dzong architecture. 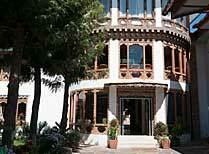 There’s a covered wooden bridge over the river to the entrance and once inside you will see the most exquisite ornate carving and gold embossed pillars in the formal halls, doorways and courtyards. It’s amazing! These two rivers running through the Punakha Valley are also a great place to do some white water rafting. There are some gentle stretches that are suitable for anyone who is trying this activity for the first time ”“ it’s great to float down the river through this lovely scenery and end up passing the dzong and even going under the bridge. For the more avid adrenaline junkie there are also more challenging stretches of the river if that is your thing. There’s an annual festival called Punakha Domchoeb which takes place on the spring and is one of the most famous festivals in the country. It’s based on the recreation of an ancient battle and he colourful festivities involve warriors and monks, firecrackers and marked dancers with processions and displays taking place in the main courtyard in the fortress. Let us know if you’d like to time your visit to coincide with this spectacle. Set in a little visited valley near Gangtey village, this lodge offers peace and tranquillity and wonderful views. 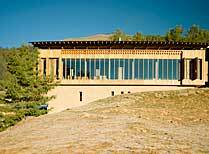 The lodge is located near the impressive Punakha Dzong and is reached by crossing a suspension bridge over the Mo Chhu river. 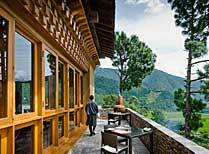 Damchen Resort has a lovely setting on the banks of the Punachu River and is a short walk from the centre of Punakha. Uma Punakha is a small luxury lodge set at the western end of the beautiful Punakha Valley and a great base from which to explore. National carrier Druk Air flies from several locations but commonly you'll connect from Delhi (2hrs), Koltata or Kathmandu (both just over an hour). You will need to come via one of these destinations which in turn are about 12 to 15 hours from the UK depending on the routing. Visas are required and are issued from Bhutan. Tribes will arrange your visa for you through our partners in Bhutan.